When making, creating and playing with Kano becomes a family affair, the whole atmosphere in the office goes up to a different level. If we could describe the feeling, it would involve unicorns getting painted by rainbows, while all the stars align and every single shade of orange in the world turns into the TRUE Kano orange (alas!). 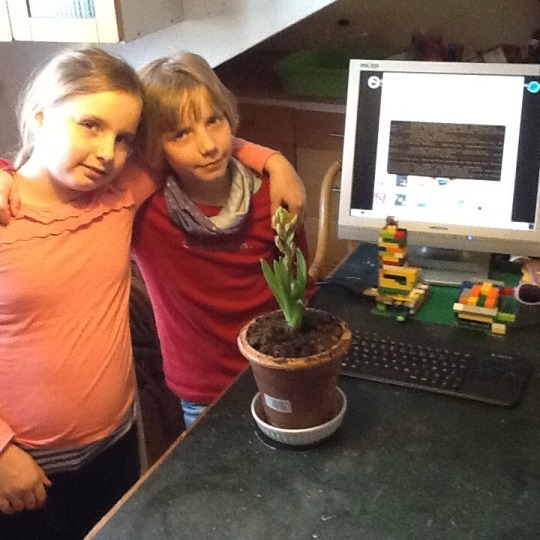 Carlo first got in touch with us when he and his daughters, Emilia and Viktoria, made a stop motion video of a flower blooming with a camera and a Kano. Watch the beautiful process for yourself! That’s not where their story ends, though. Carlo sent us a note with the family’s favorite techie and makey activities, so read on! 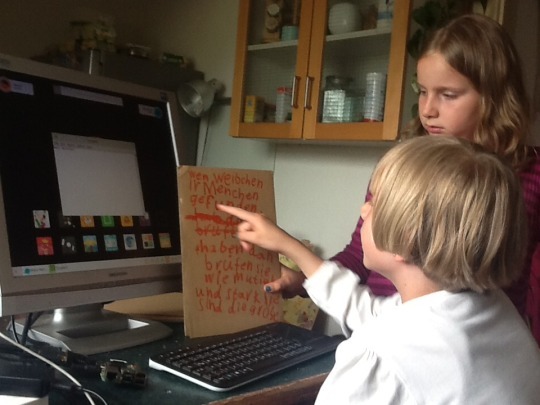 “We started with the Raspberry Pi and Kano last Xmas. Like many parents, I was looking for a tool to make my two 8-year-old daughters, Emilia and Viktoria, familiar with the basics of computing and coding. Both have tablets (iPad and Android) and they use them intuitively for playing, watching their favourite shows and doing some Wikipedia research for school. However, I did not like the “black box” character of these machines. So, I started to get interested in the Pi and its DIY personality. When I found out about Kano, I knew: this is what I need for my little ones to get a look behind the scene! So they got their Pi (B+) and Kano for Xmas and it was amazing to see what a difference it makes to assemble your own computer compared to switching on a black box! We built our own LEGO case for the Pi, including a support for the PiCamera. Emilia fell in love with Sonic Pi, but still is too shy to publish her music on Kano World. Viktoria is very much into Terminal Quest: I guess she will end up as a coding detective! Since it is important to me that they understand how computers can be a tool to discover their surroundings, we started with two camera projects: we made a short stop motion movie of a pirate ship crew and a two week time lapse movie of nesting birds (which unfortunately failed because no birds wanted to move into our new nesting box; we hope for next spring!). 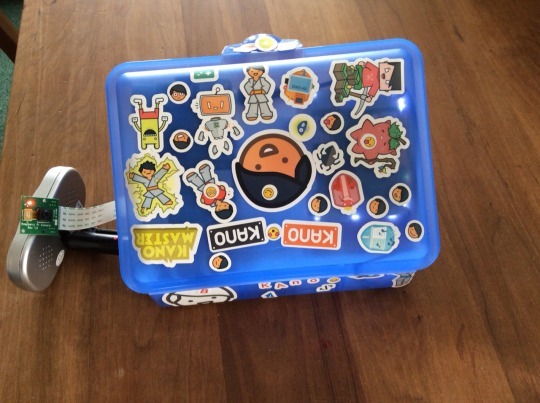 Next was a portable Pi (our first Pi 2), which we decided should be housed in a lunchbox, so the Lunchbox Pi was born, beautifully decorated by Emilia and Viktoria with Kano stickers (thanks Ricardo for shipping them out to us!). 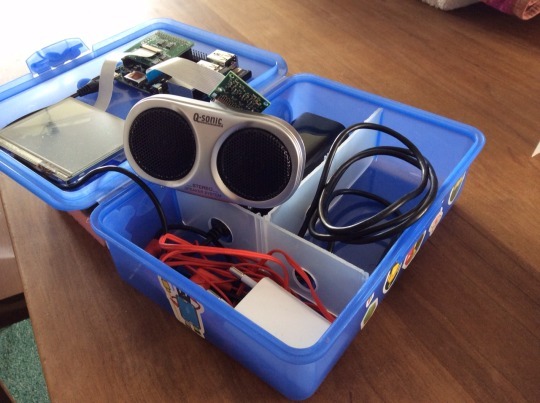 The Lunchbox Pi now serves as web radio which the girls use for listening to their favorite podcasts. During the entire school year projects and papers about all sorts of things – from white cats to the rain forest – were a big issue in class. It was only last weekend that Emilia decided that she wants to do her next presentation (about the Tasmanian Devil!) with her Kano and with LibreOffice. Do you have a Kano story you’d like to share with us? You can do it here: I am awesome and I want the world to hear it.